It's been a pretty great year. I feel like dancing. oh yeah. I am really grateful for everything... family and friends who have supported me, the opportunities and those behind them who have given me a chance, and the new people I have met along the way and the lessons I have learned (or relearned in hopes they will finally stick!) A lot of things happened on the home front that, well, let's just say this time around 2012 or 2011 I was moaning and groaning "I will never be able to do that"... "that will never happen"...and I am not exactly talking about art-related successes or achievements... just the little things that seemed so out of reach... stuff that may not matter to anyone else but when you are feeling really emotionally vulnerable, it feels like a gi-normous white whale laughing at your ego. Anyway... back to a more forward focus! Next year I have art shows! yay!! I put them over in the side panel and I am going to mention them in this post too... yeah. 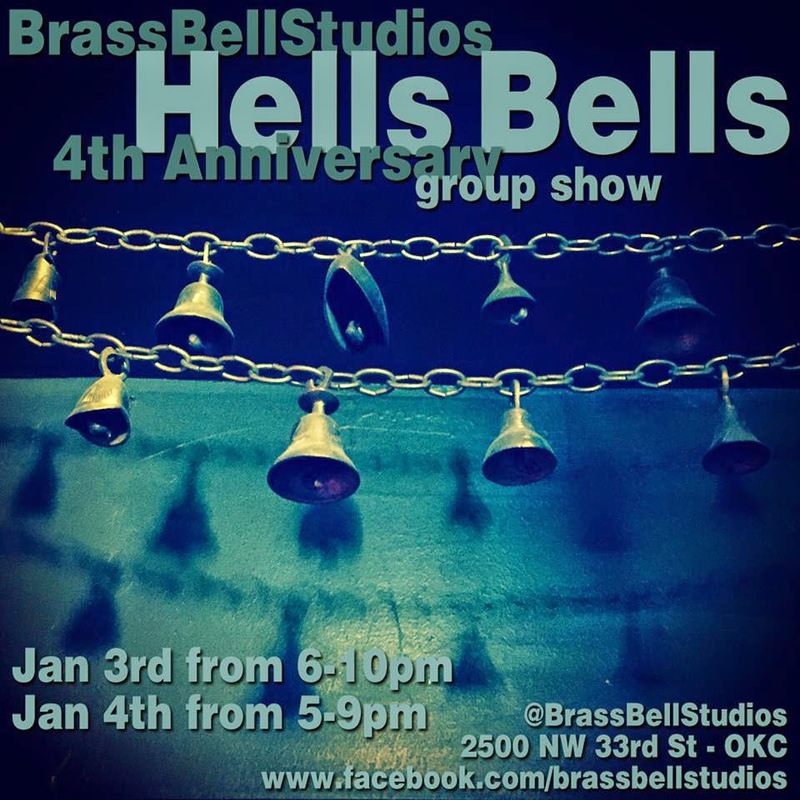 Coming up THIS WEEK... as in THIS Saturday and Sunday... Brass Bell Studios on Villa and 33rd is having it's 4th Anniversary group show! They have done bicycle themed art in the past and this year the theme is BELLS! There are actual painted bells and panel cutout bell shapes that have been given to artists to customize and more - come out and check out the many many bells for ringing in the New Year! In February Pancakes and Booze will be back at the Farmer's Market and I have a spot reserved to show with them again. Lots of artist do live painting at this show and you can (of course) get all-you-can-eat pancakes. In May I have a solo show with Brass Bell as their First Sunday featured artist- I am making all new work for this show!! In June I will have work on display at Picasso's Cafe in the Paseo Arts District. In August I am booked to have works in Norman's 2nd Friday Art Walk at D.M. Wealth Management in Downtown Norman, OK.
Stay tuned to the blog for more posts throughout the year, and you can follow my social media pages (listed on the sidebar) for more images of works in progress and updates! Thanks again everyone -looking forward to a great year!